What's the purpose of this site? Can you please add feature xyz to the site? Something important happended yesterday, why is there no news about it on your site? What kind of News qualifies as relevant to the site? Why doesn't RHDN have a ratings system? Why isn't there a way to see the most popular hacks/translations/utilities? What is 'auto-patching' (also known as 'Soft Patching')? How do I apply a patch(also known as 'Hard Patching')? I have an SNES patch, and it doesn't work! What do I do? I have a Genesis patch, and it doesn't work. What do I do? I have been a part of a translation. How do I submit a Reflection? How can I translate a game? What is the criteria for a "complete" translation? I dumped the script of a game, can you find me someone to translate it for me? 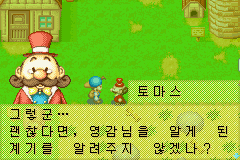 I want to translate game xyz can you find me someone to hack it for me? Can you add a specific document I found/wrote myself to the site? I don't understand document xyz, can you help me? Can you add a specific utility I found/wrote myself to the site? I don't understand utility xyz, can you help me? This site has many purposes. It's main purpose is to take the ROMhacking Community to the next level. We will hopefully put the word 'Community' back into the ROMhacking community. The ROMhacking community in recent years has been scattered and stagnant. It is our goal and hope to bring people back together and breath some new life into the community. We want to encourage new people to join the hobby and make it easier than ever for them to do so. It is also our goal to provide a document, utility, and translation archive as well as fill the roll of a one stop news source for the community. We strive to overcome the problems and succeed where other similar sites have failed. One unique way we hope to do that is through putting the power in your hands. We hope to allow the community to submit their own work, maintain the database, and make the news updates themselves. Our ultimate goal is to have a community run site that does not rely on the bottleneck of staff to do everything which can often lead to a stale, inactive site. The full system for this transition will take time, but it has already begun. This is a site built for the Community and it will endure ongoing changes based on your feedback to provide the services you need. Maybe. Voice your feature request on the message board. Please make sure beforehand that the feature hasn't been requested before by someone else. Romhacking.net is a young site and we have several features we want to add ourselves in due time. Please keep in mind that even if we want to add your feature it may take some time until it might actually be realized. Romhacking.net is an open site that depends on news submissions by users. If you have a news that is not on the site, share it with everyone and add it to the site yourself! On the left frame there is a link called 'Submit News'. The news must be approved by a staff member before it gets posted on the main site, so don't worry if it doesn't appear right away. The time it takes until the news is posted depends on the availability of staff members. Note that you are actually making the news post itself. If it is not edited by staff, it will appear exactly as you made it on the main page. We estimate news turnaround times of 24-48 hours from the time of submission max. That is our goal. 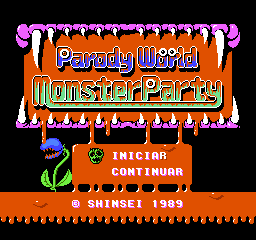 Romhacking.net maintains a huge database with game translations and related documents and utilities. As such, news on new or updated documents and utilities are very welcome. We are also happy about every status-report you can give us about any kind of game translation. Of course the beginning of completly new projects and final releases of patches qualify too. If you are not sure if the news you want to post qualifies, post it anyway. A staff member will check the news and if it should not qualify it will not make it to the site and that's it. No harm done. Bottom line, don't be afraid to use the news submission system! We as a community feel that quantitatively ranking our contributions devalues the work and time spent on creating the resources we provide. We do provide ways for visitors to review the contributions they enjoyed or disliked, including the choice to recommend (or not) the content they reviewed, however. We feel that this ensures that the system cannot be abused to hide content for reasons that have nothing to do with the material itself. Additional information can be found in this forum topic. 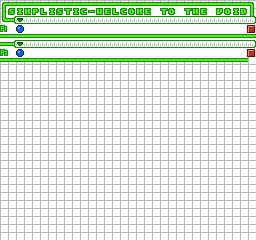 A patch in the context of this site is a file that contains a list of changes that an author has made to a game. 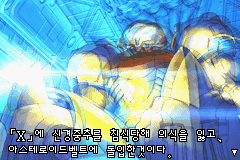 This change can be a language translation, graphical, musical, or any other kind of alteration of the game. This file is essentially a list that says "change this byte to that byte" repeatedly. 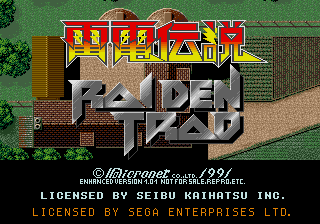 What ROM hackers do is take their altered ROM, and use a patching program to compare it to the original ROM. The program then makes a patch that you can use on an original ROM to produce the same results of the hacked ROM the ROM hacker has. You may be wondering why we don't just distribute the modified ROM and not deal with the hassle of patches. We don't do this for a few reasons. First, it is illegal. We cannot distribute copyrighted material. All non public domain ROMs contain intellectual property owned by their creators. 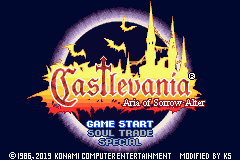 Nintendo, Sega, Square, Acclaim, Capcom, etc.. own the characters, game data, and code contained in a ROM. Freely distributing this data is illegal and we wish to abide by the law on this site so we don't get shut down and can continue to provide the services we do for you. We also do this out of respect for the patch authors. Archiving patches allows authors to get credit for the work they have done and provides the ability to keep track of versions. In addition, many patch authors do not want their work distributed in illegal packages. We don't wish to get patch authors in trouble due to independent actions we take on this site against their will. Distributing a patch is perfectly legal. A patch contains nothing more than a list of changes to achieve the same results the patch author did. Obtaining or making(You can backup your own games using a backup device)the original ROM is your responsibility and we will not provide them here. Keep in mind there are many different type of patch formats. The most popular patch format is the IPS format, though there are others, such as PPF, NINJA, or XDelta. They all perform the same basic function, but are very different in their ease of use, complexity, limitations, and features. Documentation on some of these patch formats can be found in our Documents section for additional information. 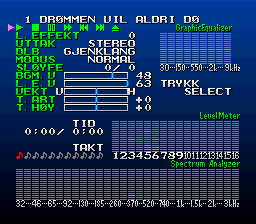 If you're using ZSNES, it has a neat feature that automatically patches your ROM when you load it. It does not modify your original ROM copy. No additional programs are necessary. 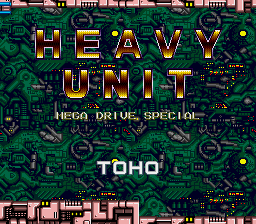 (Of course this only works on SNES games.) 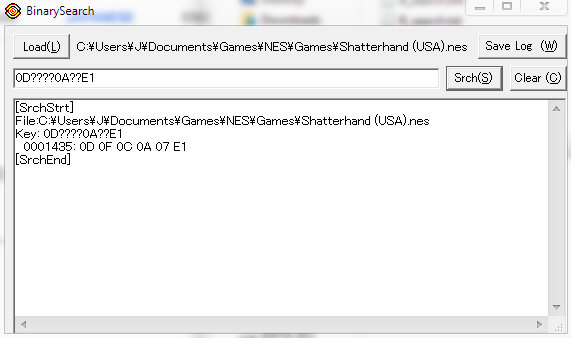 Just rename your patch to the same name as the ROM and place them in the same directory (Folder) together, and ZSNES will find the patch and apply it every time the game is run, which leaves the original ROM untouched! An example: If your ROM is FF5.SMC, and your patch is RPGER0X.IPS, change the IPS file to FF5.IPS. 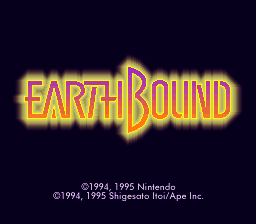 Other emulators that support auto-patching are Gens, SNES9x, and VisualBoy Advance. 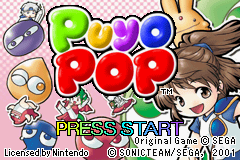 FCE Ultra also auto-patches, but the ROM's full filename plus extension has to be the patch's filename. 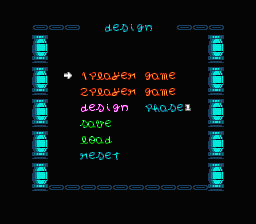 So, if you wanted to patch FF3.NES, you would change the patch's name to FF3.NES.IPS. 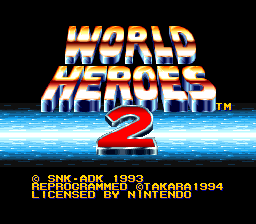 If you are having auto-patching problems and you're using ZSNES AND you have a separate directory for your saved games, you need to put the patch in that directory, instead of the same one as your ROM. 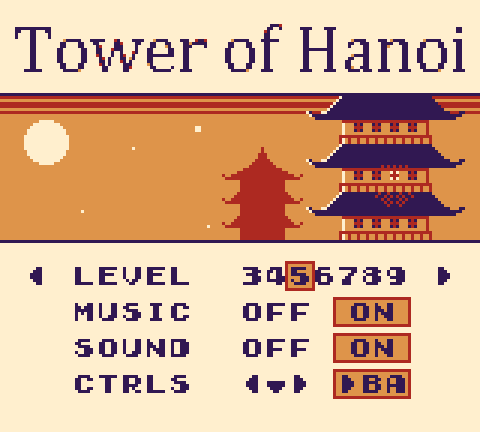 Fortunately, SNES9x finds the patch either way. If your ROM is in a zip file, your IPS filename should match the ROM name inside the zip file, and not the name of the zip file itself. Most patching programs run in DOS. If you're reading this for help, chances are you may not be proficient in DOS. Thankfully, there are also very good Windows equivalent programs. Lunar IPS is my personal recommendation for newbies. Unlike IPSWin , this one has not been reported to ever corrupt your ROM! 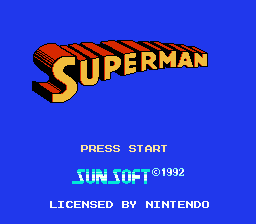 If you are having a problems with an SNES patch, it is usually either a header problem or corrupt ROM problem. The header is an appended set of bytes put at the beginning of a ROM by a backup device in order to load ROM for playback. 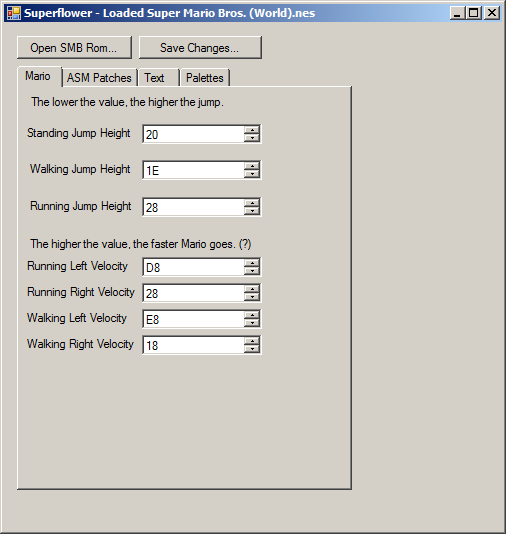 Emulators do not need them. ROMs distributed over the Internet may or may not contain one. 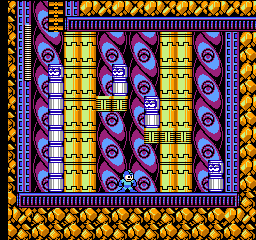 The original ROM you have MUST match the same ROM the original patch creator had. This includes the header. That's why a header can be important to emulator users. In most cases, you can READ THE README FILE(Many people neglect to do so and this is critical) contained in the patch archive file. 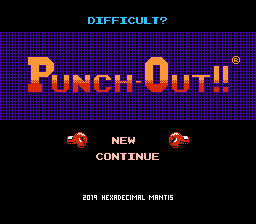 The readme will tell you whether or not the ROM used to make the patch contained a header or not. The readme file will also contain many other useful bits of information pertaining to your patch and ROM. The staff at Romhacking.net will not help any individuals whom have not read the readme file first. After reading, most likely you will now know whether you need a header or not. What do you do now? You can get NSRT to check both the checksum and header status of your ROM. Refer to the NSRT documentation and web site for assistance on how to do this. Note: Once you apply a patch to a ROM, the checksum can be bad and that is ok. The checksum on the ORIGINAL ROM however should always be good or your ROM may be corrupt. 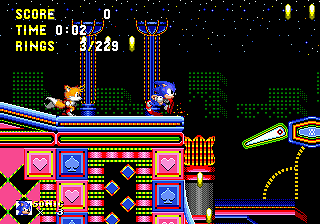 If you are having problems with a Genesis patch it is most likely a ROM format problem. Most patches require your ROM to be in BIN format(and not SMD). A utility named SMD.COM(which is mysteriously not on our site at this time.) can convert it for you. This is a DOS utility, so in the command prompt type: "SMD.COM /CB ROM.SMD" or whatever your ROM is named. Don't actually type "ROM.SMD" unless it's actually NAMED that. The "/CB" switch will make a copy of your ROM called, in this instance, ROM.BIN. Try and patch that ROM instead. Still having problems? A lot of Genesis games will lock up if their checksum's been altered. Gens and Kega Lazarus both have an "Auto Fix Checksum" option, which will fix the problem. Simply e-mail a staff member with the necessary game and project information and your reflection via the 'Contact Staff' section. Contrary to what some may think, there is not any kind of magical program that automatically translates games. Translating is a very complicated task and usually involves the efforts of several people for just one game. These types of projects can usually take months to complete. Some projects may even take years. If you'd like to learn, please see our 'Getting Started' Section. You've got to have a high aptitude for self-learning for this hobby. We also have a large database of documents, tutorials, and utilities to help you learn the trade. 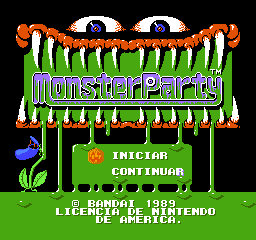 This site is all about learning how to translate and hack ROMs, so have a look around! That's a difficult question to answer. 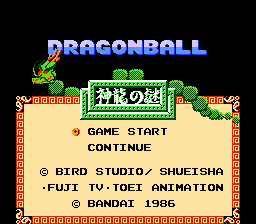 As it stands now, the normal criteria for a complete translation is one where there is no Japanese in the game (unless it's intentional, a title screen, or something minor), and mostly bug-free to the point where it's understandable and playable. A lot of projects ride that very fine line, and these are (of course) left to the decision of the site maintainers! Naturally, there are many projects that are completely playable, but are not complete for one reason or another (graphics compression or lack of time etc.). Don't forget that countless hours have been put into that translation, and are just as worthy of your time as any complete one out there! We are working on providing better classification for these translations. We have a Help Wanted Ads section for this kind of request. Enter your information there and wait for a hopeful response. If you mean you know Japanese and will translate the script of game xyz, you better go directly to the Help Wanted Ads section. Do not pass Go, do not collect $200! Please check the already available ads first if someone is already hacking it and is looking for a translator. If not feel free to submit an ad with your contact information and wait for replies. Of course. Please make sure you check that the document is not already in the database to save work for our busy staff. You can submit news about said document with the necessary informationand a staff member will approve your post and edit it to link to the document when it's been added to our database. We plan to make it possible for everyone to actually add the files to the database themsevles, but this will take some time. Not directly. We cannot offer support for the documents and tools we host on the site, but you can ask on our message board where many very knowledgeable people are trying to help people like you. You can also try to contact the original author of the document or tool. The forum is definitely the place for this though. Of course. Please make sure you check that the utility is not already in the database to save work for our busy staff. You can submit news about said utility with the necessary information and a staff member will approve your post and edit it to link to the utility when it's been added to our database. We plan to make it possible for everyone to actually add the files to the database themsevles, but this will take some time. Not directly. We cannot offer support for the utilities we host on the site, but you can ask on our message board where many very knowledgeable people are trying to help people like you. You can also try to contact the original author of the document or tool. The forum is definitely the place for this though.